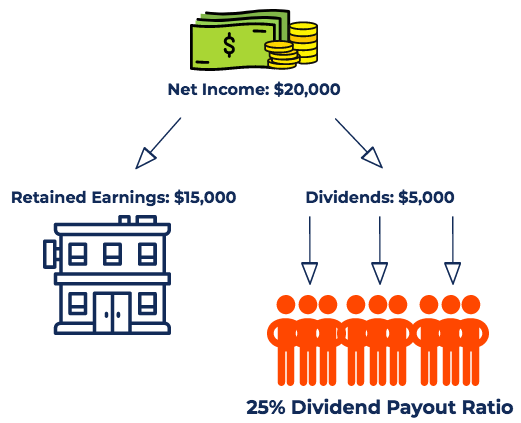 Therefore, a 25% dividend payout ratio shows that Company A is paying out 25% of its net income to shareholders. The remaining 75% of net income is kept by the company for growth and is called retained earningsRetained EarningsThe Retained Earnings formula represents all accumulated net income netted by all dividends paid to shareholders. Retained Earnings are part of equity on the balance sheet and represent the portion of the business’s profits that are not distributed as dividends to shareholders but instead are reserved for reinvestment. A high DPR means that the company is reinvesting less money back into the company, while paying out relatively more of its earnings in the form of dividends. Such companies tend to attract income investors who prefer the assurance of a steady stream of income to high potential for growth in share price. A low DPR means that the company is reinvesting more money back into expanding its business. By virtue of investing in business growth, the company will likely be able to generate higher levels of capital gains for investors in the future. Therefore, these types of companies tend to attract growth investors who are more interested in potential profits from a significant rise in share price, and less interested in dividend income. The dividend payout ratio is not intended to assess whether a company is a “good” or “bad” investment. Rather, it is used to help investors identify what type of returns – dividend income vs. capital gains – a company is more likely to offer the investor. Looking at a company’s historical DPR helps investors determine whether or not the company’s likely investment returns are a good match for the investor’s portfolio, risk tolerance, and investment goals. For example, looking at dividend payout ratios can help growth investors or value investors identify companies that may be a good fit for their overall investment strategy. Younger, more rapidly growing companies are more likely to report a low DPR as they reinvest most of their earningsNet IncomeNet Income is a key line item, not only in the income statement, but in all three core financial statements. While it is arrived at through the income statement, the net profit is also used in both the balance sheet and the cash flow statement. into the business for expansion and future growth. More mature, established companies, with a steadier but probably slower growth rate, are more likely to have a relatively high DPR as they do not feel the need to commit a high percentage of their earnings to business expansion. Blue chip stocks, such as Coca-Cola or General Motors, often have relatively higher dividend payout ratios. Keep in mind that average DPRs may vary greatly from one industry to another. Many high-tech industries tend to distribute little to no returns in the form of dividends, while companies in the utility industry generally distribute a large portion of their earnings as dividends. Real estate investment trusts (REITs) are required by law to pay out a very high percentage of their earnings as dividends to investors. 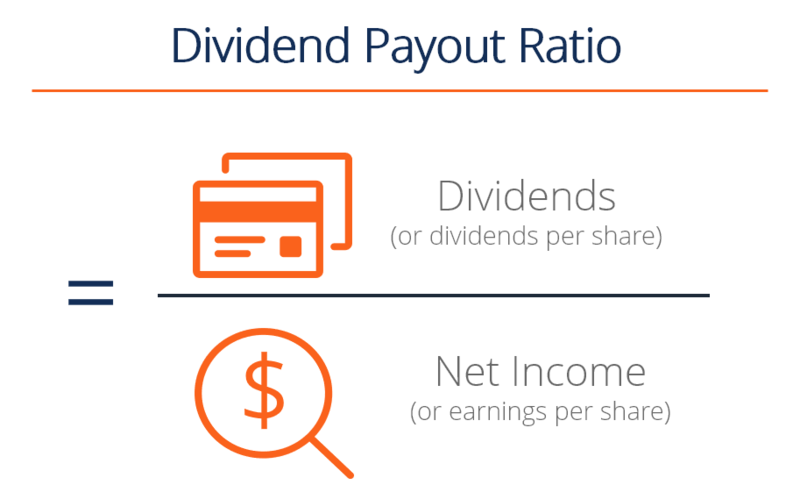 The dividend payout ratio is the amount of dividends paid to investors proportionate to the company’s net income. There isn’t an optima’ dividend payout ratio, as the DPR of a company depends heavily on the industry they operate in, the nature of their business, and the maturity and business plan of the company. Fast-growing companies usually report a relatively lower dividend payout ratio as earnings are heavily reinvested into the company to provide further growth and expansion. Slower-growing, more mature companies, ones that have relatively less room for expanding their market share through large capital expenditures, usually report a higher dividend payout ratio. Income-oriented investors typically look for high dividend payout ratios in choosing companies to invest in.